The ocean wave earrings are hand made from recycled silver. The rings of silver measure approximately 12 mm in diameter, they are sand textured and suspended from them is a wave of recycled silver and an aquamarine stone. 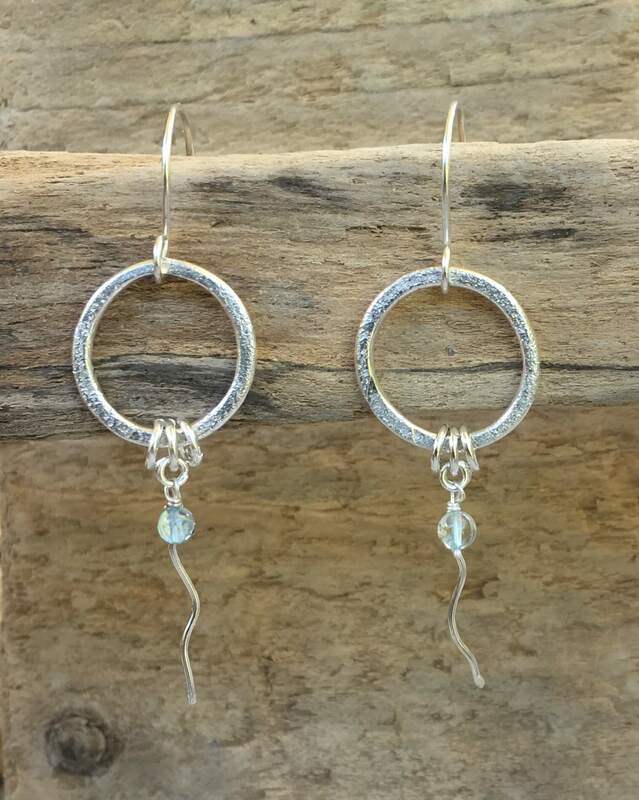 The earrings are on sterling silver wires. Inspired by the movement of the ocean these unusual earrings have lovely movement of their own.